Archaeologists search a midden to discover traces of what once was important to people. Among these traces are scattered objects like broken ceramics and rusted metal pieces; rubbish, organic matter and even burials. And so when archaeologists stumble on them, they endow them with a reliclike quality. Midden meditates on the ability of experimentation inherent in everyday objects and inspects into their possibilities (i.e. their multiple forms of perception), which are here represented by the artists’ works. In this exhibition, the artists are given an acting role as archaeologists that rediscover or rethink pre-existing objects that have been forgotten by society for their ordinariness. In this way, waste is not only understood as disposable material, but also as the forgotten objects that are no longer thought as possibilities. 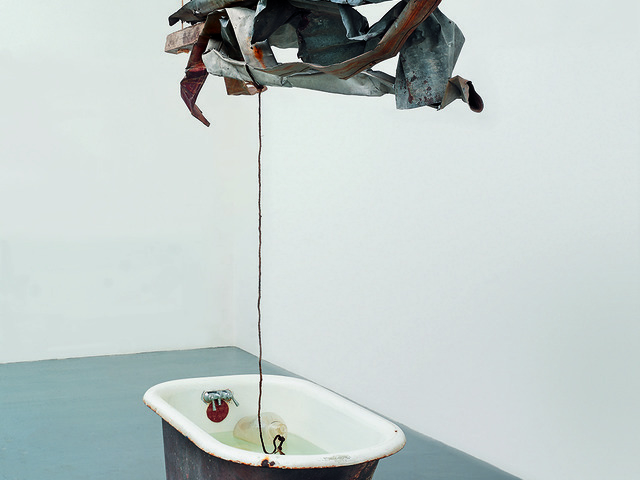 The artists here presented put waste to work into a visual narrative that takes the form of an anecdote or an evoked association. These associations can be infinite, ranging from personal anecdotes to a series of events of a collective memory. 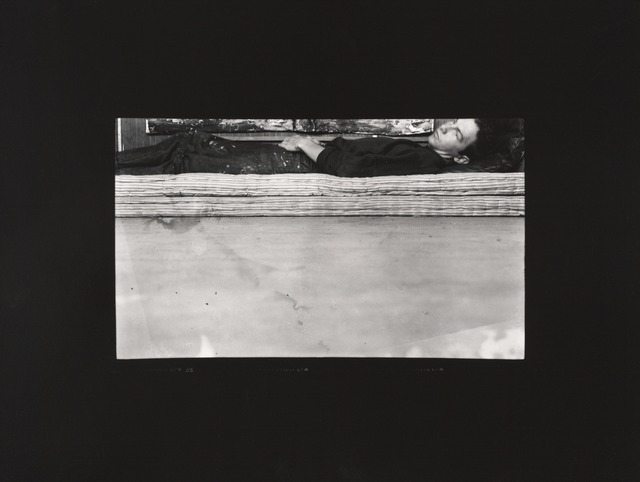 Robert Rauschenberg’s Postcard Self-Portrait, Black Mountain (II) (1952) (fig. 1) is a photographic anecdote of his young years at Black Mountain College in North Carolina. Although not made out of waste, this photograph serves as a key piece for the exhibition. A postcard works as evidence of someone’s life experiences at a certain place. When collected or put on a compendium, these become a visual narrative of a personal history. 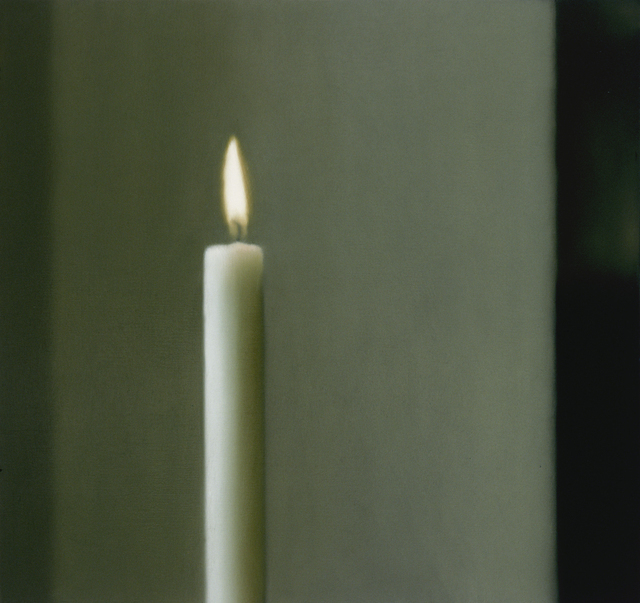 Gerhard Richter’s Kerze (1982) (fig. 2) draws upon the same issue. 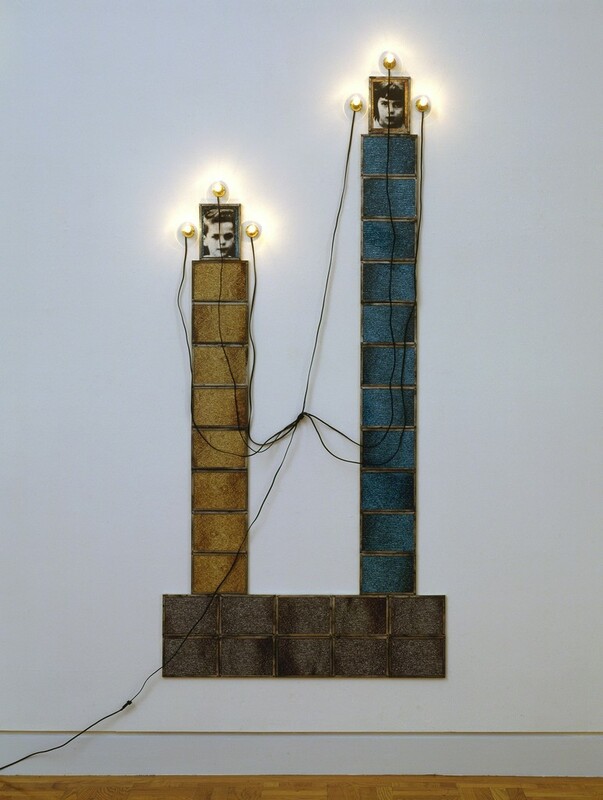 As part of a monumental project initiated in 1972 (‘Atlas’), this piece can be read as a materialized embodiment of the artist’s experiments with everyday imagery that have served as sources for his own work. In Die Neapolitanischer Vesper (1991) (fig. 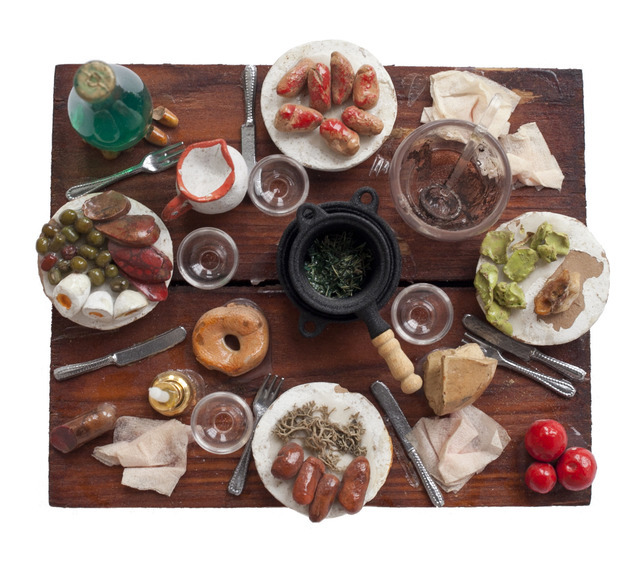 3), Daniel Spoerri pictured a table as a field of traces. In the early sixties of the last decade, the artist began to work on a catalogue of mapped objects lying around the table of his room. An Anecdoted Topography of Chance (1962) weaves memories with objects, resulting too into a visual narrative. Whilst travelling in Italy and North Africa along Cy Twombly, Rauschenberg created a series of assemblages called ‘scatole personali’. These consist of found objects that display a meticulous selection process analogous to the data gathering that archaeologists undergo at a site (a midden). 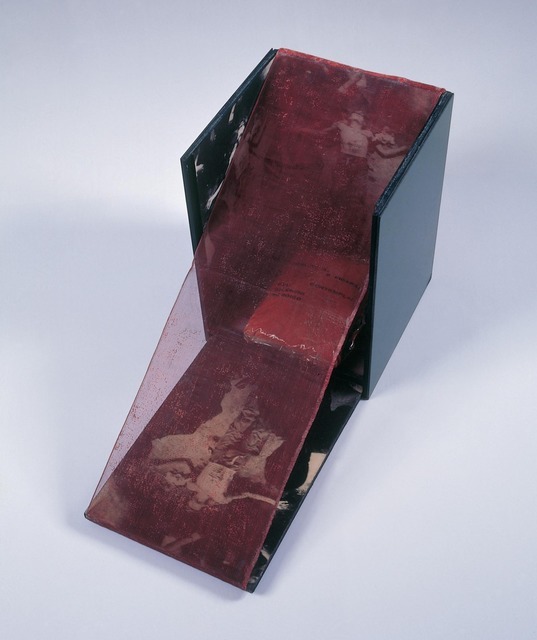 Untitled (scatole personali) (1952)(fig. 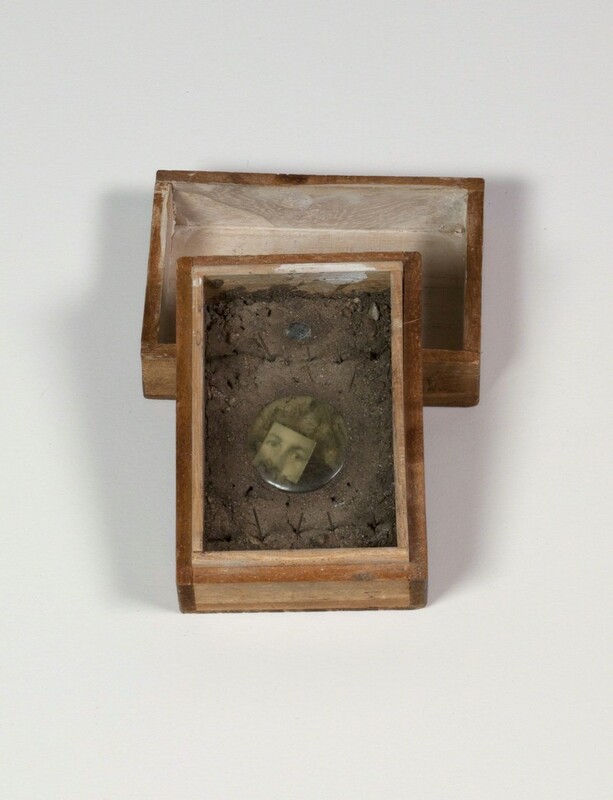 4) is a dirt-filled box displaying a small photograph of the artist’s eyes within a plastic lens that results into a self-made relic. The whole composition resembles one of those religious relics that can be found inside every other basilica in Rome. 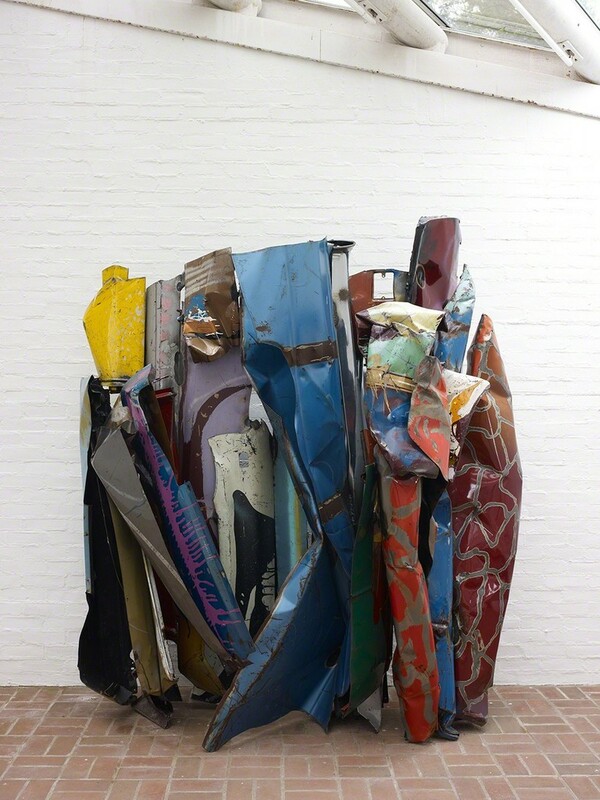 Rauschenberg’s photographic series set in this city show his acquaintance with monuments, ruins and relics. For instance, when Rauschenberg took the famous photograph depicting Twombly besides Emperor Constantine’s gigantic hand, Cy + Relics, Rome #6 (1952); it shows itself almost literally.